Mamas, as you probably know, I am VERY picky when it comes to looking my best. One of the things I HATED with my first child was carrying around a dumpy looking diaper bag. With my youngest, I am so glad to carry a bag that is trendy and fashion forward. And if you want a trendy bag, you NEED to look at JJ Cole Collections! How beautiful is this bag? It is the JJ Cole Collections Swag Bag. It just says WOW every time I even look at it. 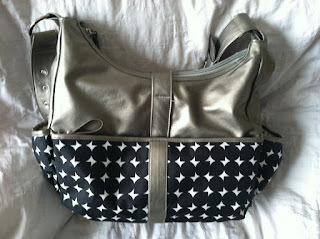 It is chic and looks more like a handbag than a diaper bag. In fact, I have been using it as a computer bag this entire week, and it looks GREAT (and has all the pockets I need for all of my "stuff!). It is a black and white pattern with a gray/silver/ almost pewter. 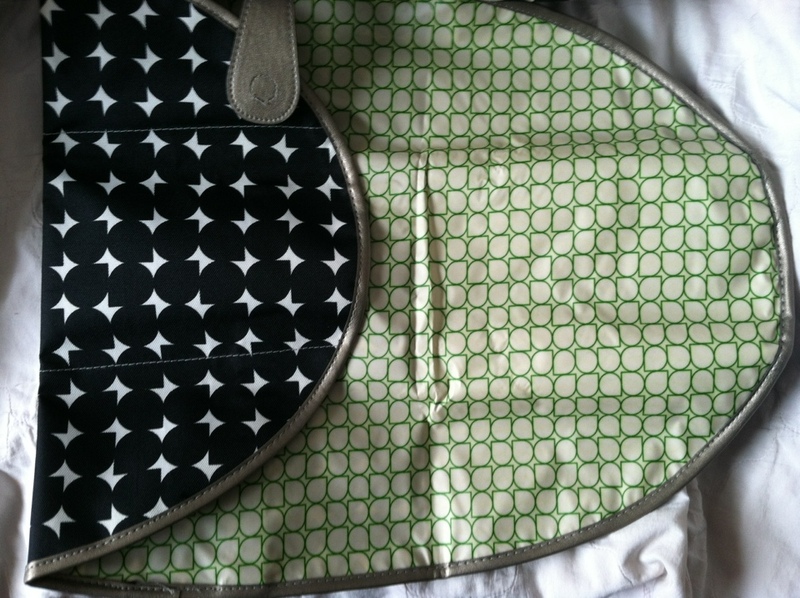 As you can see the front features two open pockets (fantastic for stuff you need to grab fast-- like SNACKS and toys!). Then, it has 2 zippered pockets, which I use for my mommy stuff I need fast (my cell phone and my lipgloss). 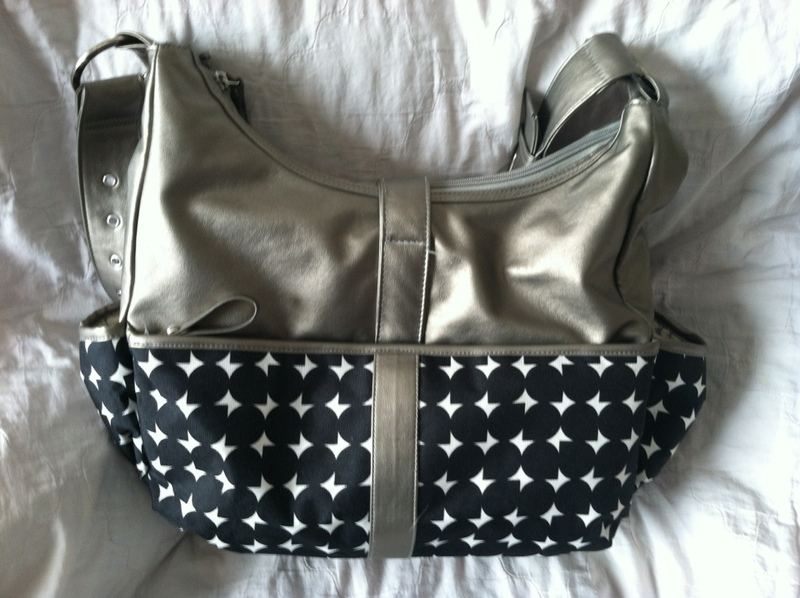 The back is just as chic looking with a full zippered pocket along the back. 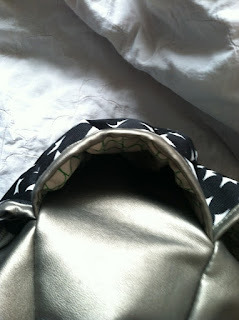 In this pocket, you will find the super chic changing pad. 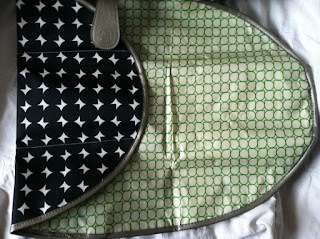 One side is lined (for fast cleaning), and has the same green and white pattern you will find on the inside of the bag. 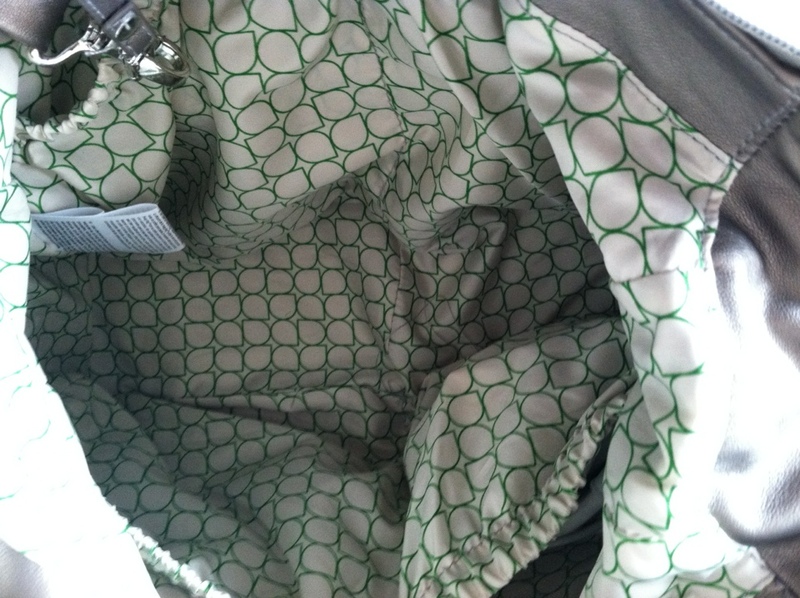 On the sides of the bag are insulated pockets. They easily fit a bottle, sippy cup, or even one of your drinks (I can fit a can of soda or a bottle of juice in them easily). 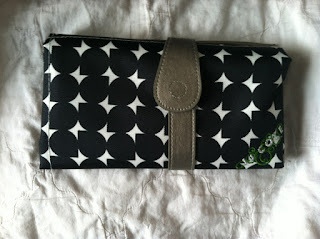 The inside has 4 elastic pockets total, which is great for carrying everything you need. You can use them for diapers, wipes, toys, snacks-- everything you need. And you will LOVE that none of the pockets or closures have velcro-- so no sticking to cloth diapers!!! 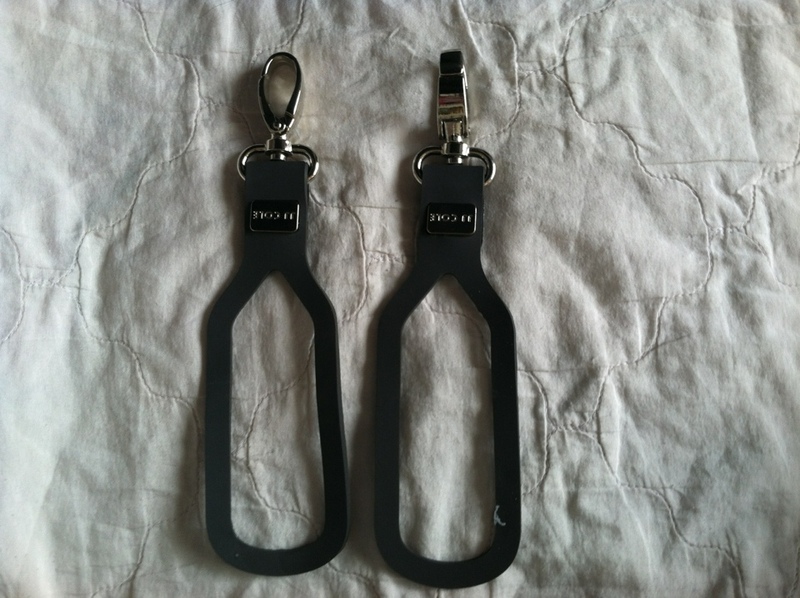 There is a key hook so that you always have your keys on hand. 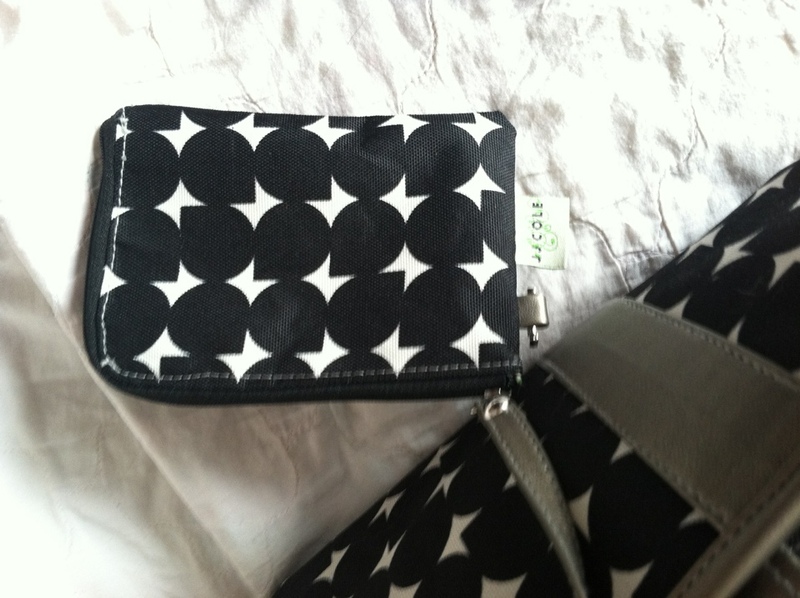 And even a change/ coin purse! The stap is adjustable. Wear it long for wearing it as a cross body bag, or short to carry it on your shoulder. On the go with the stroller? They even include stroller attachments that you attach to the stroller and clip to the bag! This bag will fit your every need! What I love the MOST is the one essential item that I carry everywhere, my MacBook Pro fits inside with plenty of room to spare! 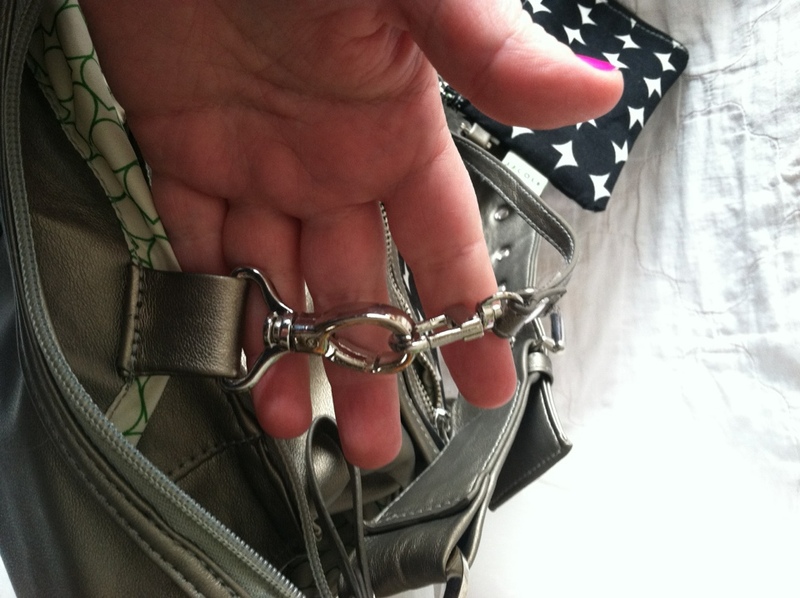 This makes the bag easy to travel with on long or short trips! This is the neatest diaper bag I have seen. I honestly thought when I saw the first photo that it was a handbag. The changing pad looked like a wallet to me when folded up. I love it!!! That is really cool I MUST show this to my sister! 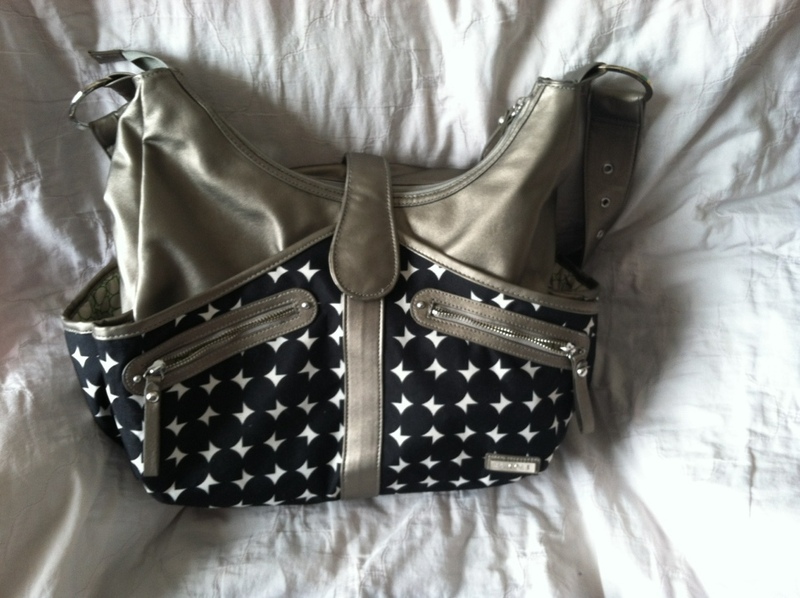 I am way past the baby stage, but this bag is soooo nice! Love the style of it, so much better then those big gym style foo-foo looking diaper bags haha! WOW! Diaper bags have come a long way. I would have much rather carried something like this instead of the totally uncool looking bag I got in the hospital lol! I have been carrying a blah bag and you now show me I could have had a little style. Thank you, I have hated our bag and that one is not overly done to where my husband would still carry it but yet it is so much better than what we have. 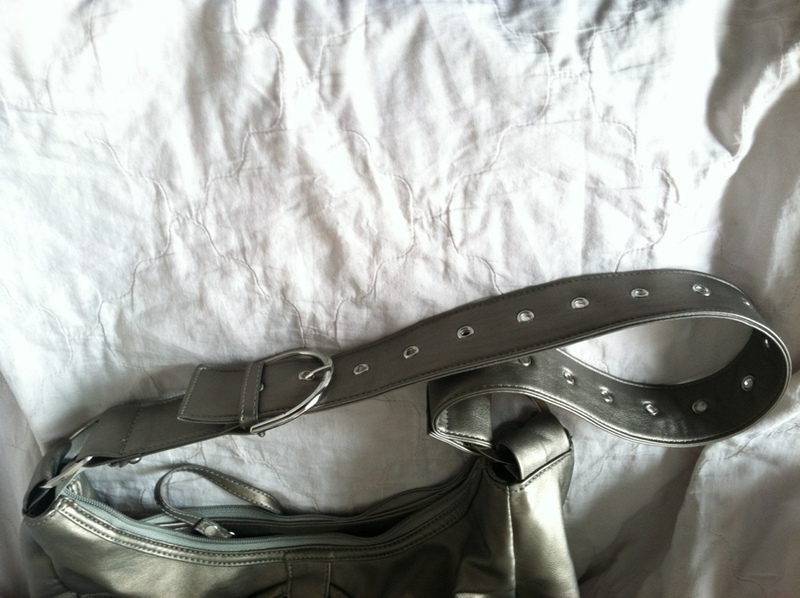 It is not heavy (though it depends on how much you can fit), it is soft fabric. 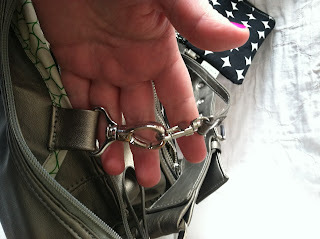 Stitching is perfect and the hardware of the purse doesn't look cheap at all. I personally love it.